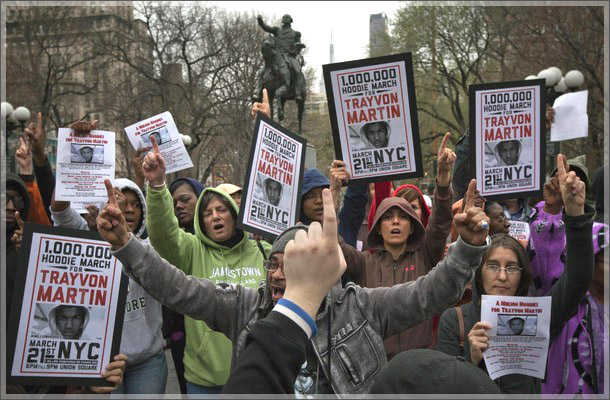 A Detroit rally is being organized to take place on MONDAY, March 26th, at 6pm – Hart Plaza, to show our support for JUSTICE for Trayvon Martin, the teenager gunned down by Mr. Zimmerman in Sanford, Florida. Several clergy persons and students from local colleges are organizing this event, so let us all take a part of this fight for justice. Wear your “hoodie” if you want to and bring a bag of skittles! 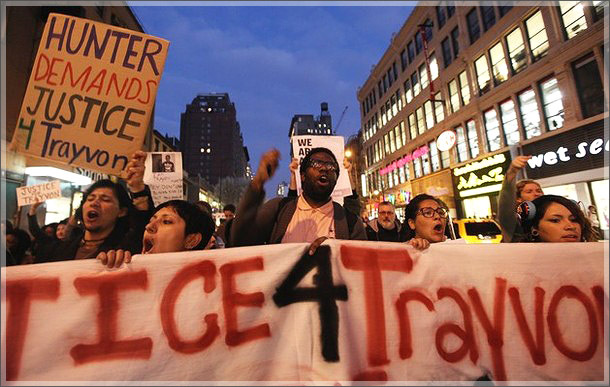 ORLANDO, Fla. (FinalCall.com) – Trayvon Martin had dreams of being an aviation mechanic, however, the 17-year-old Black teen is dead, the man who shot him has yet to be arrested, and angry protestors from across the country are preparing to occupy Sanford, Florida. 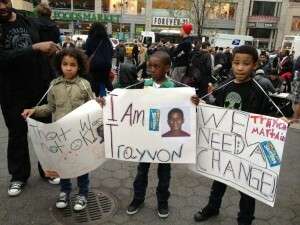 Demand Justice for Trayvon Martin Click Here for More Information @ JusticeForTrayvonMartin.com Sign The Petition! “Everybody is making great speeches but somebody has to do something different. Nobody is thinking like this. We can’t keep looking to the enemy to give us justice,” said Mr. Muhammad. He says the militia group has had “well-trained members” on the ground in Sanford the past few weeks and even obtained the address for the parents of Mr. Zimmerman in Lake Mary, Fla.
A national community rally is scheduled for March 26 in front of Sanford City Hall. Prominent civil rights leaders, clergymen, grassroots organizations and supporting Floridians are expected to be in attendance. “We’re going to keep putting the pressure on. We’re asking the Department of Justice to get involved in the investigation. This makes no sense. Race is the elephant in the room. 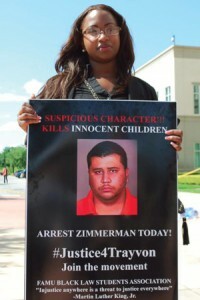 Had Trayvon been the triggerman, he would have been arrested day one and he would be sitting in jail,” said Mr. Crump. “The fact that a young unarmed man could be killed by a neighborhood watch captain while his family was blatantly misled by local police as to the background of the shooter is disturbing,” said Rev. Al Sharpton. 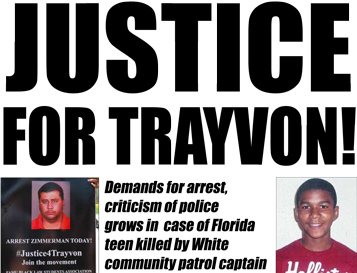 He will be leading a rally on March 22 at First Shiloh Baptist Church in Sanford. The last cries of a dying boy? On Feb. 26, the same night the world was watching the NBA All-Star game airing from Orlando, Trayvon Martin, who was from Miami, was visiting relatives in the Retreat at Twin Lakes gated community in Sanford. 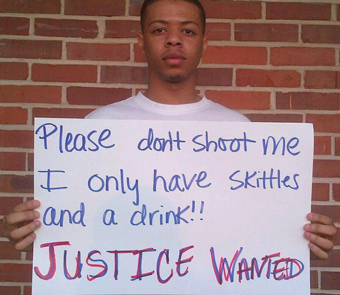 He was walking back from a nearby 7-Eleven convenience store with a can of ice tea and a bag of Skittles candy. Mr. Zimmerman, an armed self-appointed “neighborhood watch leader,” called the police to report a suspicious person in the area when he spotted Mr. Martin. He ended up engaging and eventually killing Mr. Martin with a gunshot to the chest. “Being a young, Black man has been called the hardest job in America. Young, Black men are much more likely than White men to be jobless, in jail and labeled ‘suspicious,’ sometimes with deadly consequences,” said Mr. Morial. Although Mr. Zimmerman, 28, admitted to shooting Mr. Martin, his self-defense claim was enough to keep Sanford police from detaining him. “Until we can establish probable cause to dispute that, we don’t have the grounds to arrest him,” said Sanford Police Chief Bill Lee during a press conference on March 12. The case is headed to the desk of the State Attorney’s Office. “Of the many unanswered questions in this case, two stand out. 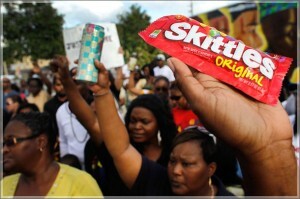 First, Trayvon Martin, who had just stopped off at a convenience store, was armed only with a bag of Skittles and a can of ice tea. George Zimmerman, who weighed over 100 pounds more than the victim, was armed with a 9 millimeter handgun. Even if there was a physical altercation between the two, why was such deadly force necessary?” asked Mr. Morial, whose group is also calling for a federal probe. Florida is one of many states to have passed some form of the Castle Doctrine or “Stand Your Ground” law in which self-defense is asserted against a charge of criminal homicide. “Those laws were designed to allow a person to defend themselves. It is not to give people the right to go out, confront people and shoot them down,” said Warren F. Muhammad, a criminal attorney in Houston. “It is sad how this country goes to length to stretch laws such as this to protect someone who clearly is not acting in self-defense. The case of Trayvon Martin is another example of the lack of value placed on the life of the Black man in America. And they go to lengths every day to prove that to us,” said Atty. Warren Muhammad. “Laws like that make modern-day vigilantism that can have these kind of tragic consequences. Too many young Black men are losing their lives to mistaken identity and overzealous assumptions about their criminal intent,” said Melissa Harris-Perry during a segment of her MSNBC show. She is a political science professor at Tulane University. “One of the reasons the police gave for not immediately arresting Zimmerman was that he had a ‘squeaky clean’ record. A few days later it was discovered that Zimmerman had been arrested in 2005 for resisting arrest with battery on a police officer. Trayvon Martin, on the other hand, had no criminal record,” said Mr. Morial, the former mayor of New Orleans. Mr. Crump told The Final Call that a public records lawsuit was filed on behalf of the family to ask a judge to order the police department to release the 911 tapes. A hearing was set for March 19, but the police department surprisingly released the tapes to the public on the evening of March 16. Prior to the release of the audio recordings, Mr. Crump told The Final Call that he believed by obtaining the 911 tape, they would get answers to some very critical questions. “Why did he (Mr. Zimmerman) think this kid was suspicious? Why did he disregard and ignore the police instructions to him? It’s going to show this loose cannon’s overwhelming mentality when he got out that car with a loaded 9 millimeter gun and confronted this 17-year-old, 140 pound child who had a bag of Skittles and a can of ice tea,” he said. 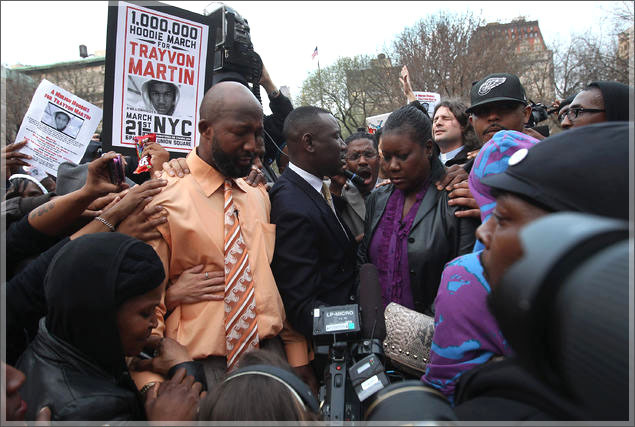 In the background of 911 calls made by witnesses, the cries of a young boy, believed to be Trayvon Martin, can be heard yelling for help just before a gunshot is let off. The cries then go silent. The community is now accusing the Sanford police dept. of trying to protect Mr. Zimmerman, who has reportedly dialed 911 at least 50 times over the last year. “The truth is contained in the 911 tapes and we think that if the Sanford police chief led a shady investigation, he should be removed. If they had nothing to hide why did they withhold the tapes this long?” asks Mr. Marcelin. 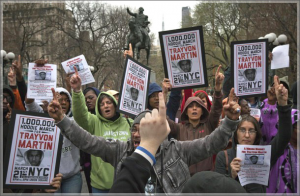 The story of the death of Trayvon Martin, who attended Michael Krop High School in Miami, is spreading rapidly across the Internet and attracting wider mainstream media coverage. An online petition on Change.org has garnered at least 400,000 signatures. People are being encouraged to make daily phone calls the State Attorney’s Office and the U.S. Dept. of Justice. Protestors are being asked to bring a bag of Skittles, like the candy Trayvon Martin was carrying the night of his death, to the rally on March 26. “As the father of a 10-year old African American son, I join all African American parents and Americans of conscience everywhere in calling for an end to the war against young, Black men and a thorough investigation of the death of Trayvon Martin,” said Mr. Morial. 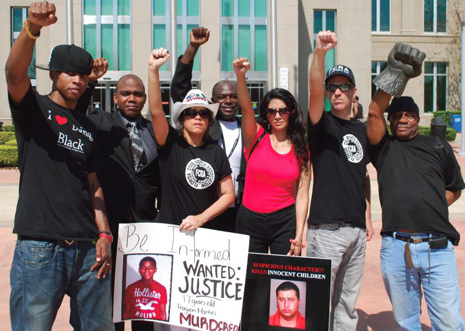 (Kendrick Muhammad of Orlando contributed to this report. thats whats wrong with people STOP be so judgemental, this guy to me seemed he was out to kill anyhow. i dont know why he was head of the neighbor watch to me he was very inrespondsible. god see’s everything so if treyvon doent get justice from flordia state police. God sure enough will be waiting on him..
the real truth present photos of the gold toothed thug? this 6 foot 3 dope smoking robber/thug attacked the wrong guy and lost…fact.